“That was a remarkably good reception,” a journalist commented to me after Michael Gove’s double act with Zac Goldsmith at the Oxford Real Farming Conference yesterday. And he was right. Who’d have thought a Conservative Environment, Food and Rural Affairs Secretary would go down so well at a conference packed with organic farmers and left-wing agriculture workers? There were no boos, and quite enthusiastic applause. It was a sign that Mr Gove was saying most of the right things as far as this audience was concerned. The news headline of the morning was a pledge to restrict subsidies for big landowners (something the Green Party has been calling for over decades). And he certainly sent the right signals by being the first Secretary of State to go to the ORFC. Earlier in the morning, Mr Gove had been up the road at the Oxford Farming Conference. Don’t confuse the two: the OFC has been going for 80 years and is a champion of industrial agriculture and big farmers. The ORFC is nine years old, now almost double the size of its older rival. And as one interjection from the audience during the Gove/Goldsmith discussion suggested, wiser. Some of the ORFC audience had read the speech Mr Gove gave to the older conference, however – and the mood distinctly cooled. Because the speeches were very different. For the ‘official’ conference speech, he had focused on growth – in production, in trade, and (astonishingly in our plastic-choked world) in packaging. The missing word? ‘Local’. Michael Gove comes from the neoliberal, Brexiteer wing of the Tory Party, and that very concept seems anaethema to our Environment Secretary. He wants British agriculture to export more: the focus is not on feeding ourselves – despite food security rising up the global agenda. The god of trade rules for Mr Gove. The Environment Secretary admitted that pre-2008 growth had been fuelled by unsustainable debt and environmental destruction. But he failed to explain how his plans differed. On investing research and development funds into organic agriculture, Gove was shown the example of Switzerland, which dedicates about 25% of its funds to that purpose – compared to 1% in the UK. The question was: will UK spending increase, and by how much? The answer: “More than 1% and less than 25%” Useful. And of course, as a number of people reflected afterwards, Michael Gove is Environment Secretary today, but may not be in two weeks’ time. More than a few commentators are suggesting that some of his crowd-pleasing decisions are more of a job application – for the Treasury or No 10 – than part of a long-term plan for food and farming policy. It’s not so long since we had Owen Paterson as Tory Environment Secretary, the climate change denier who thought the badgers had moved the goalposts. Then came Andrea Leadsom, who asked if climate change was real. It’s the same Tory Party in power now. And while Mr Gove talked the talk about maintaining high food standards, about this being an essential part of the British export brand – it is well known that other members of the Cabinet are thinking very differently. Gove has a positive vision for Britain’s environment which includes a thriving agricultural industry and areas of land that support habitat’s for Britain’s diverse wildlife and fauna. 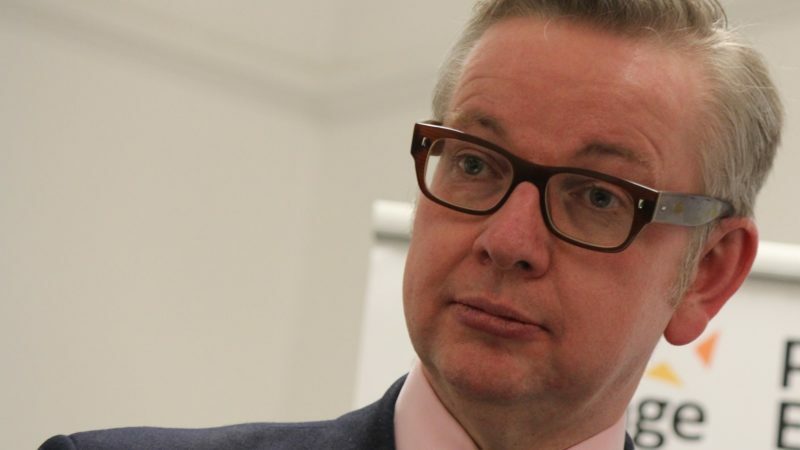 Gove is interested in just two numbers – 11 or 10.